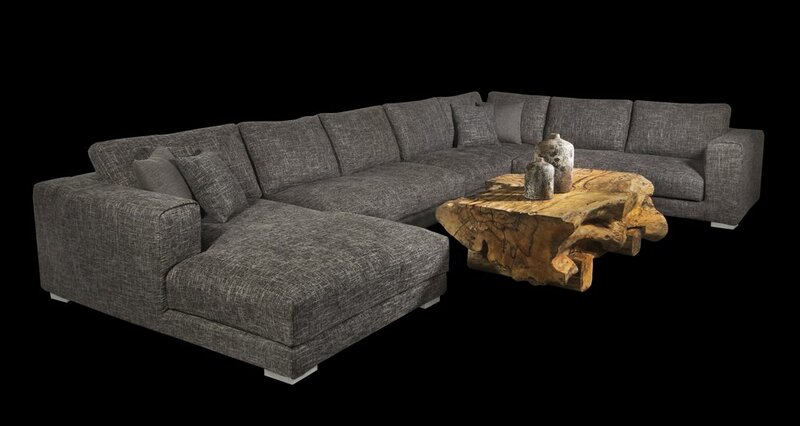 Winnipeg’s Blue Moon Furniture takes inspiration from the expansive Canadian landscapes to create sculptural furniture pieces from sectionals, upholstered pieces and free flowing sofas to majestic live edge tables & organic occasional tables. This is a small sample of over 25 unique variations of these exquisite tables. Come meet Bend Upholstery's newest design. Trekking through the icy, untamed Canadian wilderness to return to the comfort of the Allegria, our innovative sculptural sectional. Share the video if you too have gone to great lengths to get home. Thanks to Skymaker Films for this amazing view of our store’s interior.